"Ukc Ch. 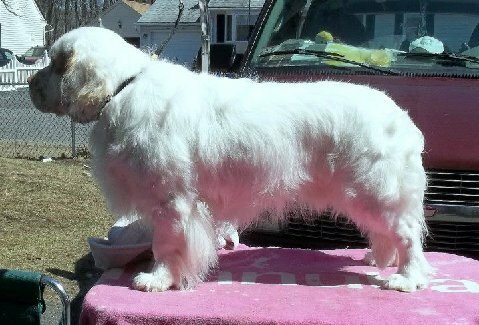 Golden Heart's King of Queen"
Moose above @ 13 month after a bath! 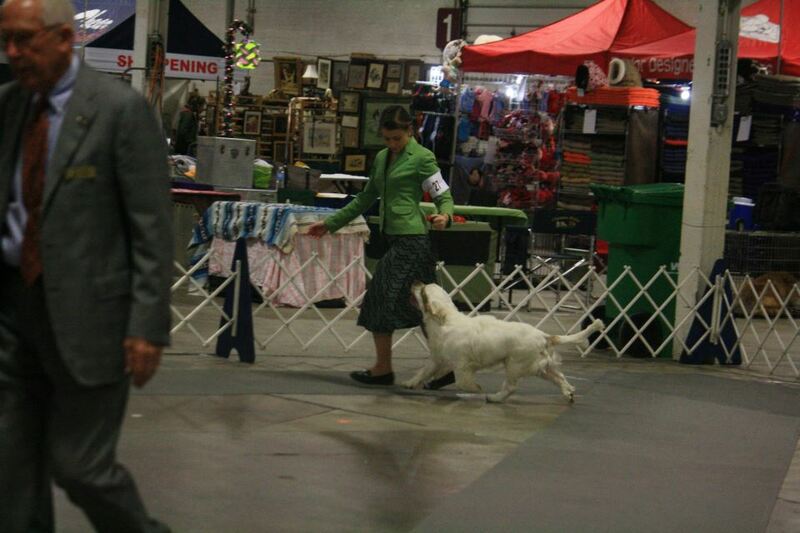 shown here going back in for Winners Dog with Rachel Ertle lending me a hand. My boy has won several Major Reserves as a puppy from the Bred By class.